As they get set for their headline show at Miami’s Ice Palace Studios on 29 March, Deep Dish have just released their new single, ‘Quincy’ this week. The duo have also just announced that they’ll be presenting this week’s BBC Radio 1 Essential Mix. This will be Deep Dish’s fourth time helming the Essential Mix and the first time since 2005. 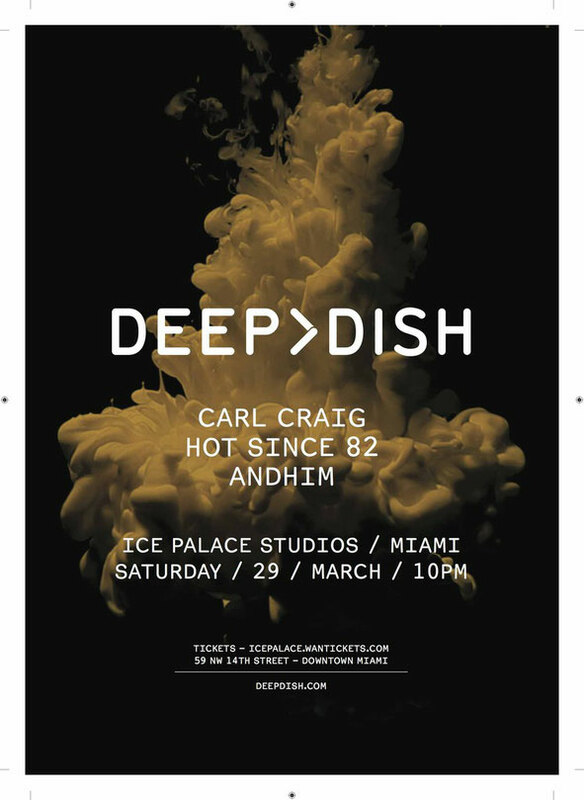 Ever since it was first hinted at in February, clubbers and fellow DJs have been getting excited for Deep Dish’s huge Miami headline show at Ice Palace Studios, featuring special guests Carl Craig, Hot Since 82 and Andhim. Prior to that though, Deep Dish was in the mood for some home cooking on Sunday night and turned up as the surprise guest at Washington, DC’s U Music Hall. As the city where it all started for Deep Dish this set was apparently pretty special, with Dubfire and Sharam at their best.